We work for you, the customer. Biodegradability of AMC Consolidated pallets provides a product that can be, “broken down in a reasonable amount of time.” The ability to remain a green company is a priority for AMC Consolidated. We have taken the time to ensure that our pallets are meeting the ISBM standards and our customers’ needs. Our pallets are created with the process of sustainability incorporated. We heat-treat our pallets according to ISMP 15, we produce our pallets for the ability to be reused, biodegradable, and reduced. AMC Consolidated produces high quality pallets meeting local and international regulations. 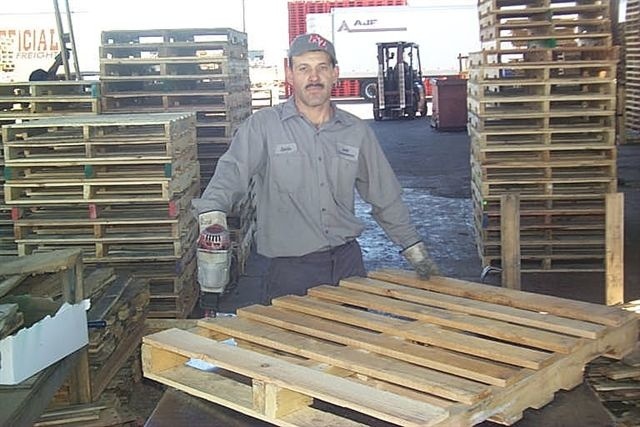 We are the only local pallet yard that heat-treats their pallets for shipment. We have sent pallets worldwide and look forward to assisting your company with your material handling needs. Please contact Ed or call 602-233-9800 for further assistance.